A favourite clip from the Disney Nature film ‘African Cats’. Some mornings just come together, the light in The Mara at times would take your breath away. 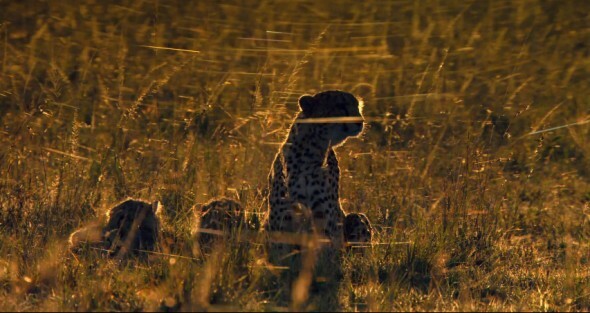 The cheetah would often be surrounded by shimmering cobwebs, begging to be shot back lit. The Jackson’s Widowbird bouncing and Aardvarks fighting were wonderful to witness and complete the scene cut by the amazing Martin Elsbury. This footage was shot on a combination of Phantom Gold and Sony’s F23.